Aisha Toombs is a teacher, author, and bee-enthusiast. 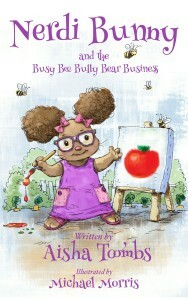 Nerdi Bunny and the Busy Bee Bully Bear Business marks her debut as a children’s book writer. 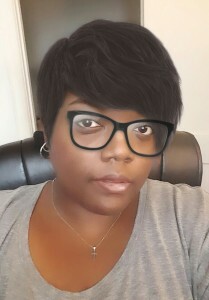 She has written articles and reviews for various websites, written a one-act play for the 2008 GLO New Light Festival in Philadelphia and previously self-published an anthology of poetry and short stories. 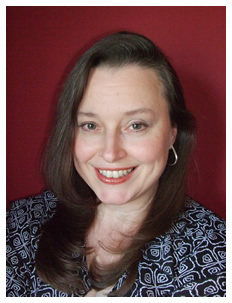 She currently resides outside of Philadelphia, PA where she lives with her family and teaches English. I interviewed Aisha Toombs via Skype. I thoroughly enjoyed reading “Nerdi Bunny and the Busy Bee Bully Bear Business.” I understand you have a love of bees. How did this love influence your story? As a young child, I was very scared of bees. Understand I didn’t know the difference between a yellow jacket, or a bee, so I would swat at anything yellow with wings. That stayed with me—not knowing the difference, and swatting at them—and when I got older I guess you could say I became obsessed over understanding them, and why they were important to us when I saw the Häagen-Dazs Ice Cream Honeybee campaign. I asked myself, “What is this about? Honeybees pollinating one third of our food supply?” I got so intrigued about bees importance, I immersed myself in bee knowledge. I can now tell the difference between a honeybee and a carpenter bee, and why they are so vital to our food chain. I don’t recommend doing any “hands-on” bee research especially if you have allergies—leave that to the apiarists. But I did sponsor a hive this year through The Honeybee Conservancy. I’ve become the bee police and tell my friends don’t swat at the bees. Without the bees, we don’t have this, and I would explain to them what we wouldn’t have without them. I’m a high school English teacher, but I tutor younger children in reader and writing. As an educator, I think it’s very important for students to know about their planet, and I want students thinking about those things and how they can help their own communities. My high school students think it’s awesome that their teacher is a writer and they want to read the book or get it for a sibling. I haven’t told my younger students about it yet, but I will soon. How did you come up with your main character, Nerdi? Nerdi came to me when I was about eight or nine years old. I can’t draw, but I drew this very crude-looking bunny with glasses and gave it to my mother. At the time, I didn’t know Nerdi was going to come back around. A few years ago, I was asked to write something for my friends’ publishing company and I thought back to that seed planted at a young age. As an adult, I knew I wanted to see a character as a bunny that sort of represented my culture to some degree so you see my afro, my glasses, and some of who I am in Nerdi. It [the story] was very painful at times because it wasn’t doing what I wanted it to…. It really was a push, push kind of thing. Nerdi started out as a picture book. I didn’t think I could write anything longer than a couple pages. My brain doesn’t allow me to sometimes. I think that comes from so much academic writing, which I’ve done for such a long time, so to take that turn into fiction was really hard. It was difficult for me to do anything longer than a short short story. I was actually afraid to do something longer; but I had a really good feeling about Nerdi—that she could be something to help students to learn about their environment. I took a class at Children’s Book Academy and learned how to stretch the story to improve it, and crank Nerdi out. The only thing I can equate it to is childbirth, although I’m not a mother, so I guess it would be more like Zeus when he had Athena coming out of his head. It was very painful at times because it wasn’t doing what I wanted it to. It wasn’t coming out the way I wanted it to come out. It really was a push, push kind of thing. My niece is an avid reader, who reads above her grade level. She’s going on nine, and she’s really interested in science and facts. Nerdi is really a hodge-podge of all those ideas. I was so happy that I finished it. I have tons of stuff that I started, and unfinished manuscripts, but Nerdi needed to be finished. Nerdi’s voice is very strong, and it sounds like a nine-year old would sound, which is the appeal for readers. Did you have that specific age group in mind when you wrote this story, and how did you come up with the voice for telling the story? Nerdi started out with a much younger voice, to be read to children rather than children reading it themselves. As I started expanding the story, Nerdi definitely sounds a lot like my niece. In my head, if this was an animated piece, it would sound like my niece, so it’s really my niece’s voice coming out when Nerdi speaks. You have trees having dandruff, bears hugging Goldilocks dolls, you mention President O’Llama, and the “Bumble Honey Boogie, ” and from page 15: “When bunnies become very excited, they get the hippity-hops. It’s like the hiccups, but in their feet.” I thought that was beautiful. How did you come up with these ideas? I love playing with alliteration, figurative language and rhyming. Hippity-hops felt catchy. With hippity-hop, I wanted something different that sounded exciting. If I were a bunny, bunnies bounce, but what would a bunny have? To say she was bouncy wasn’t enough. I love playing with alliteration, figurative language and rhyming. Hippity-hops felt catchy. The Bumble Honey Boogie, I don’t honestly remember. In Mira’s class (The Chapter Book Alchemist) you get a lot of feedback from your classmates. One of the suggestions from folks in my group was, what are things that kids could chant, something kids would remember? I did a tune in my head, and put words to it. My niece comes up with songs on the fly. I used to do that when I was kid, so I just applied it to my writing. “Do you think this will work?” asked Jimmy. How do you think that shapes a child’s perspective? since Nerdi is admitting that it might not work, but she is still going to try? Teaching in an urban environment, many children are often met with defeat, and once you’re defeated you don’t try again. The reality is, that you continue to experience defeat in your adulthood. You can’t necessarily win all the time, but you have to keep trying. If you don’t, you’ll never know. What’s the alternative? I think it’s better to try, and know something doesn’t work, than not try at all. That’s an important ideal I think children need to have. You need to keep putting in the effort to get what you want, even if you fail, and that’s okay. We’re confronted with self-doubt and that danger of experiencing hurt—not being successful at something. It’s important to keep trying and I think Nerdi represents that; she knows success isn’t always the reality, but recognizes the importance to be confident and try.Children need encouragement and to learn that their ideas need to be brought forth into the world. Being told that something is not good enough doesn’t work on its own. Children need encouragement and to learn that their ideas need to be brought forth into the world. If they work, fantastic, if not, okay; come up with another idea. You have to be persistent. That’s a wonderful message to send to children—to have confidence, and to tell them not to be afraid, to be understanding. How much thought did you put into this when you wrote your story? Did you think about the messages you wanted this book to have before writing it, or did it happen in the process? How did you get the pieces to fit within the framework of the story? I very much wanted my readers to gain something positive. I haven’t heard about The Children’s Book Academy. Can you tell me more about them? You can visit the The Children’s Book Academy online. Dr. Mira Reisberg offers many classes throughout the year. The class I took, The Chapter Book Alchemist was co-taught by author Hillary Homzie. It was a very positive and amazing experience; very professional, honest and constructive, which I loved. It’s online and they have webinars, pitch weeks, an option for a one on one critique with either Dr. Reisberg or Ms. Homzie, and had writing groups, which helped with ideas and providing feedback. I received so much more in those five weeks about completion, and what I needed to do to craft a solid story than I would have gotten on my own. I don’t think I would have finished without their guidance. They felt I had very strong pieces to the story, and helped me to expand on that. It was a very nurturing experience. How did you get this book published? What did that entail? I had self-published before—an anthology of poetry—it didn’t go as well as I would have liked, but I knew Nerdi was something I wanted to put out there either by a publisher, or by my own hand. I came across an amazing company called Book Fuel. They walked me through everything I didn’t necessarily know the first time I self-published from doing a substantive edit to a proofing edit, to finding an illustrator. I didn’t have to do anything, except give them ideas of what I wanted and say yea, or nay on the results. It was seamless. They handle all the distribution, and I pay them a fee for a year, which is pretty reasonable considering everything they provided, and I maintain all my rights. They found the illustrator, and I cried when I received the illustration of my character. He nailed it. All he had to go by was a picture of glasses, Wally the bunny (a bunny with pigtails), but I wanted the bunny to have afro puffs, I wanted a purple jumper, carrots on her glasses…it was like the illustrator went into my brain and saw exactly what I wanted. I couldn’t believe it. Nerdi looked like me, and the illustrator had never seen me, so I knew I was doing the right thing. I could have continued to send queries out, tried to get an agent, and submitted to major publishing houses, but I didn’t feel like I had forever. I didn’t want to sit on this story, so I did it myself. It really was painless, and I’m so happy with the result. InkDrops is my publisher, and they are helping me with marketing. I want you to know my step-son really loved your book. He’s very excited that I’m speaking with you. He gave your book a big thumbs up; he doesn’t do that with all the stories he reads. So you hit your mark! That’s so wonderful to hear! That makes me feel so good! I know that’s what any author wants to hear; that they hit their target audience.This is a series, so Nerdi’s next adventure will probably be in the Bayou. Yes, absolutely! That is the highest compliment! So, what future books, or writing can we expect from you? This is a series, so Nerdi’s next adventure will probably be in the Bayou. I went to Louisiana for my Honeymoon, and fell in love with New Orleans. We took a trip and learned why the bayou is so important, so in her next story she will be visiting her jackrabbit cousins in the Louisiana Bayou. Do you have a time frame for the next Nerdi adventure? I’d like to get it out by next year. I just started doing my chapter synopses, so hopefully by this time next year it will be published. 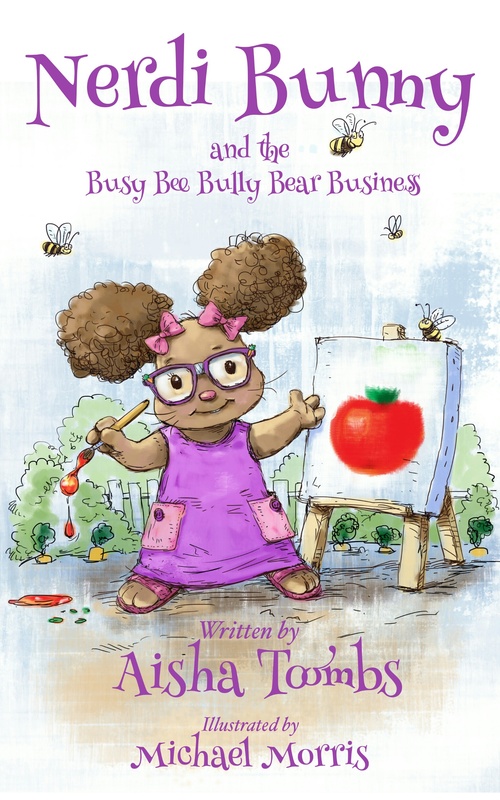 Aisha Toombs’ book, Nerdi Bunny and the Busy Bee Bully Bear Business, is available for paperback purchase on Amazon, and on iBooks, Kobo, Kindle, GooglePlay, and Barnes and Noble for download. I’m in love with Nerdi bunny. The illustrations are just fantastic! So happy for you, Aisha!